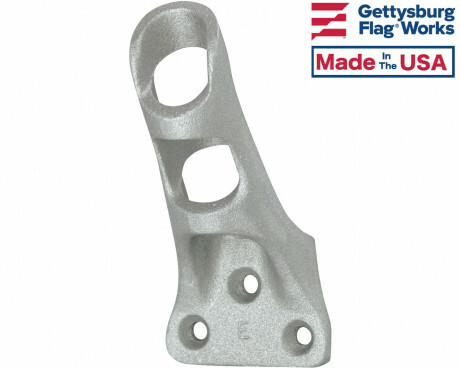 Gettysburg Flag Works is your source for flagpole brackets. 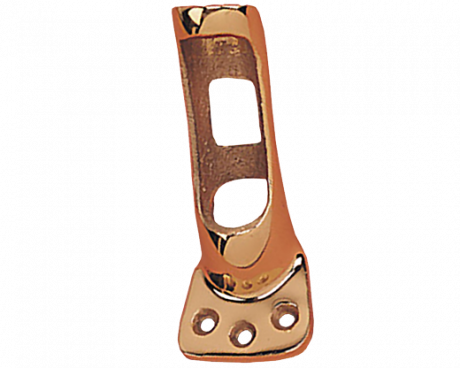 Flag mounts are available in a variety of finishes including: white, black, bronze, gold, silver and even mirror. 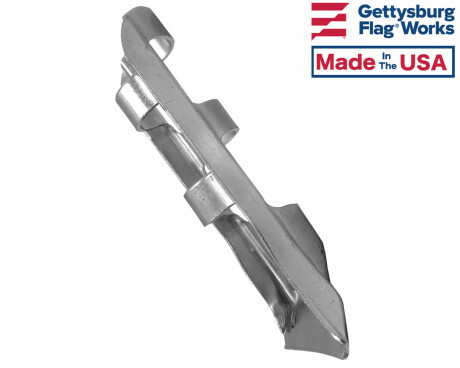 Flag mounts come in several varieties to fit your residential or stick flags. Flag mount diameters include ¾", ½", 1" or 1 ¼". 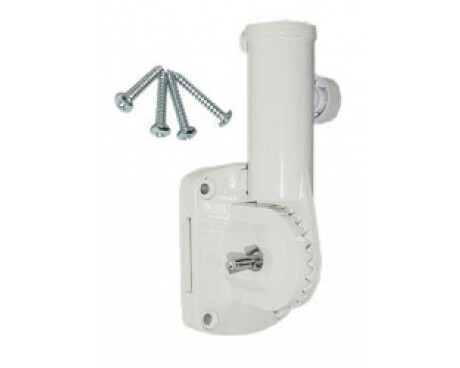 Attach a flag pole mount to your front porch, wooden fence or any other vertical surface. 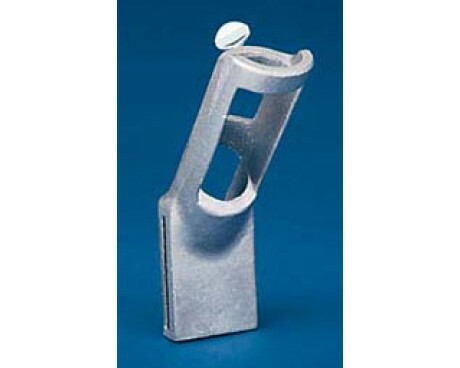 Choose the flag pole holder that fits your needs by choosing between our many pole angle options. 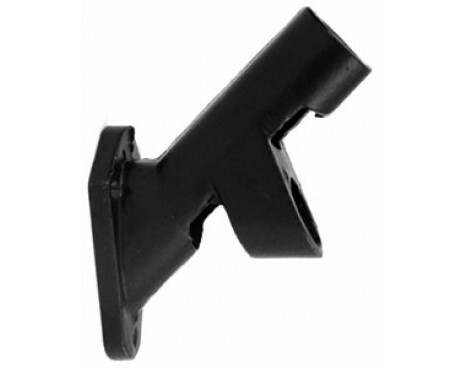 Flag mounts are available in 90, 80, 60, 45, and 30 degree angles. 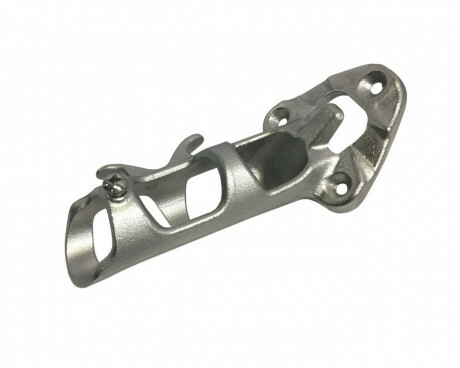 You'll also need to choose a material for your flag pole holder. 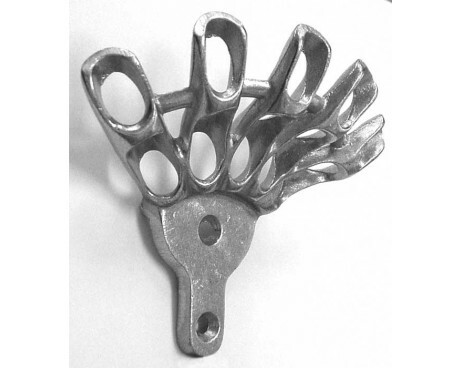 Aluminum is a durable outdoor flag mount material that doesn't rust or rot and is lightweight. 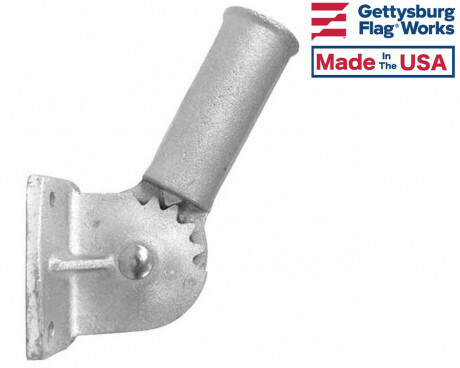 A cast-iron flag pole holder is heavier and is available in black, white or bronze. 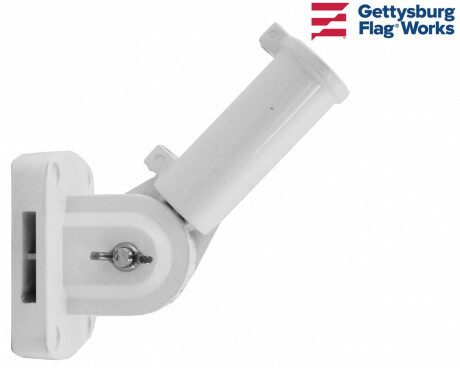 For the indoor flag pole mount option, choose our adjustable nylon flagpole bracket which feels like plastic. 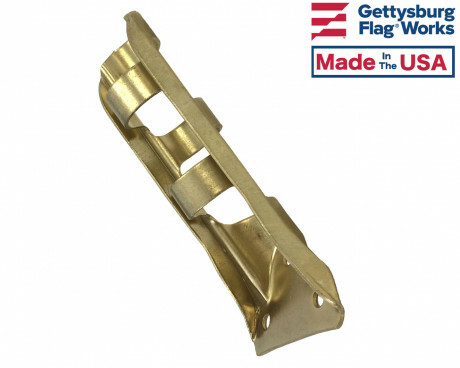 Specialty flag brackets also come in bronze or stainless steel. Sometimes the fixed flag brackets just won't work because you are looking to display your flag above a bush or below a tree limb. 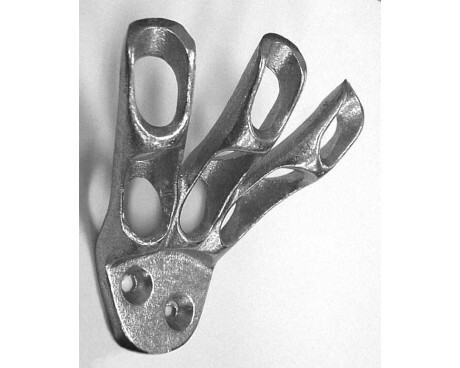 This is where adjustable flag brackets come in. Adjustable flag brackets allow you to swivel the flagpole bracket up and down until you've found the perfect angle for your display. 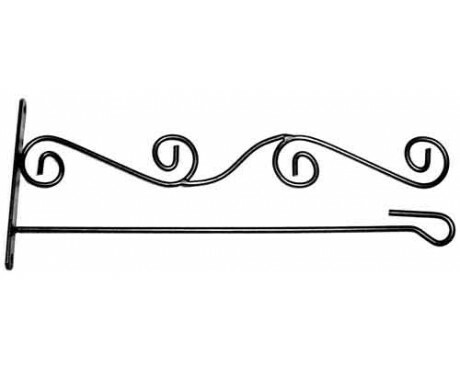 Garden flag pole brackets are made for mounting to a fence post, mailbox or wall. They are fixed horizontal flag mounts with a pretty scroll top. 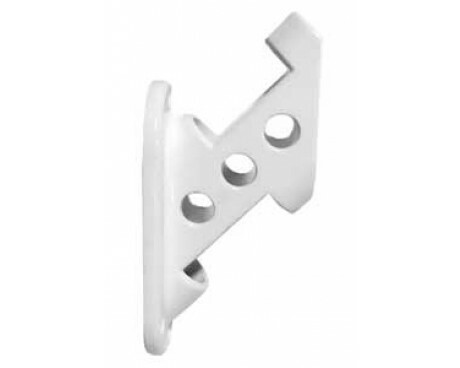 The Electric Way flag mount and a few others are made to be banded to a pole or pillar. 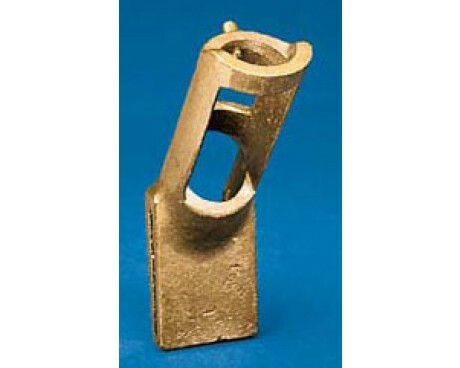 This style of flag pole holder has a slot in the base of the bracket for a strap or pipe clamp style band. This will wrap around a light pole or other vertical post. 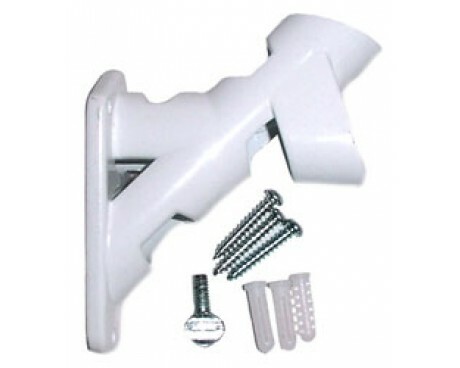 These pole brackets are available with or without screw holes for that option of mounting. 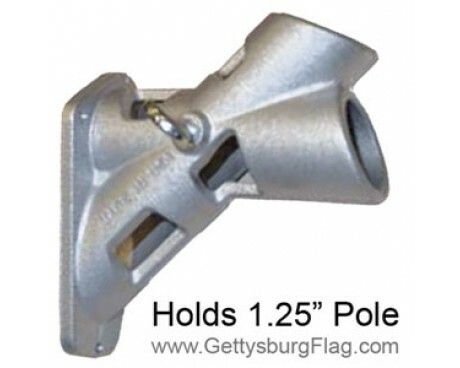 This type of flag pole holder is commonly used along main streets to display flags during the holiday season. Sometimes you need a special, extra decorative flag mount. 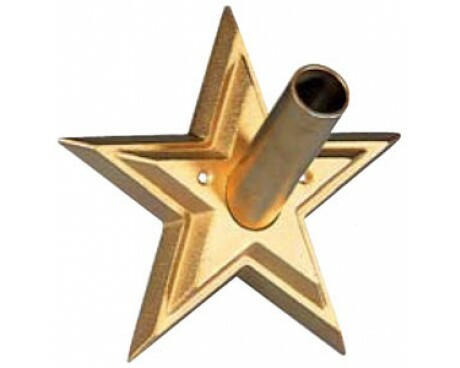 Take a look at our beautiful gold star flagpole bracket for the special display that you are working on. 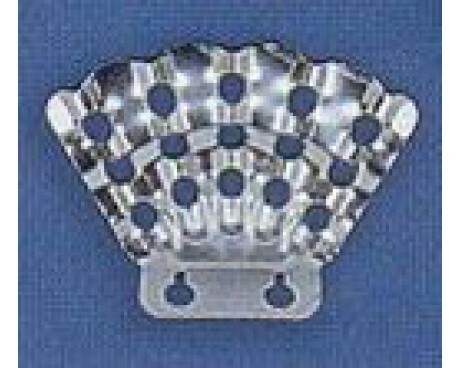 This is especially beautiful for your American flag or military flag display. 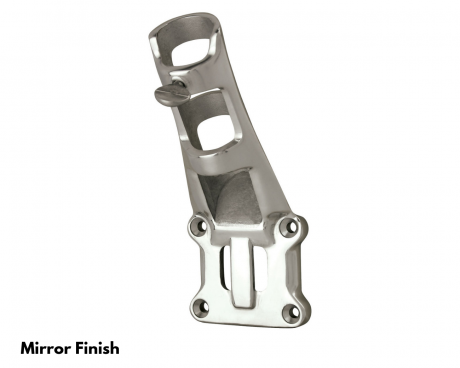 Need a Custom Flagpole Bracket Solution? We Can Help. 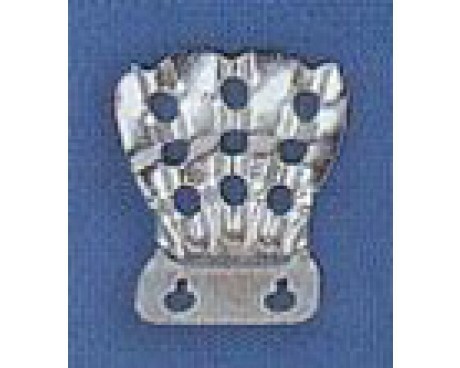 If you don't see what you need amongst our flag brackets, please give us a call at 1-888-697-3524 or contact us online and we'd be happy to help you find the solution you need. 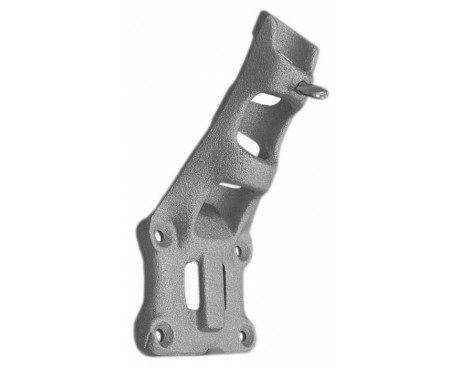 We often have more residential flagpole bracket options or even custom options to meet your needs.